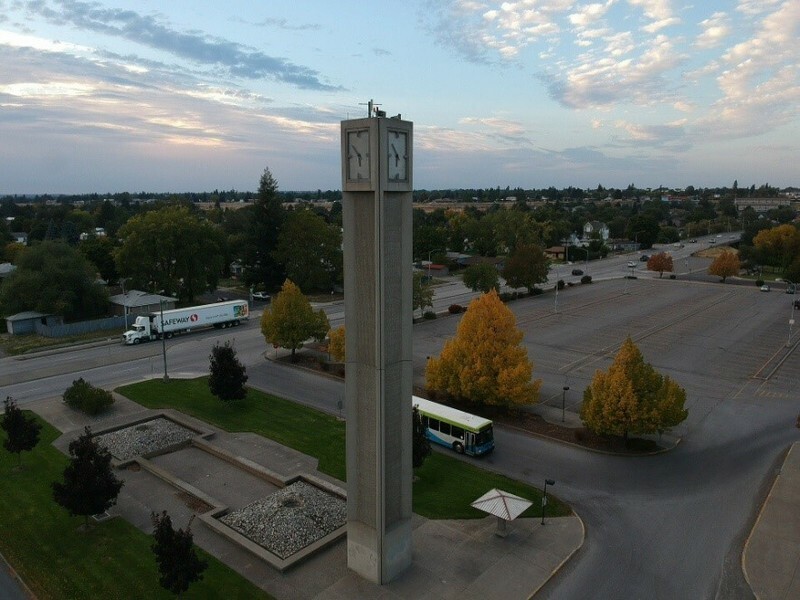 The sands of time are running low for the massive concrete Clock Tower that stands at the entrance of the Spokane Community College. 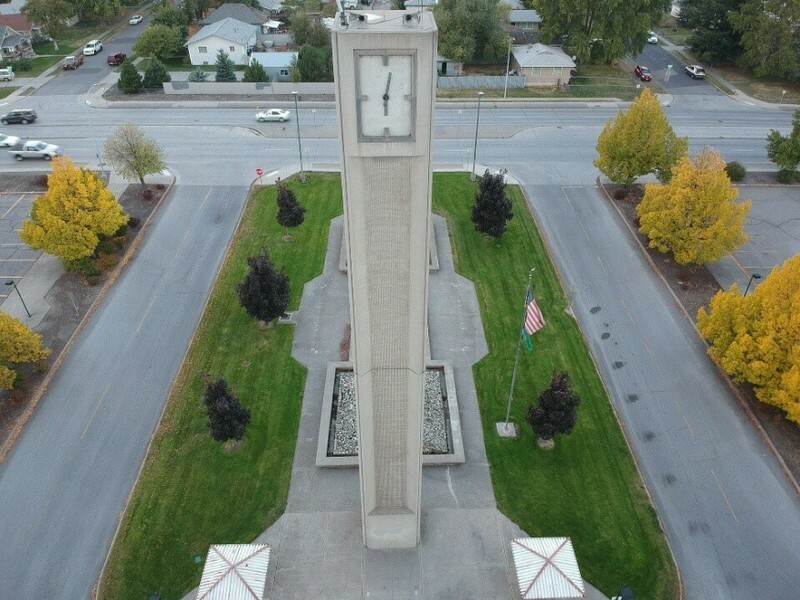 The Washington State Department of Transportation has been trying to find a way to remedy ongoing traffic issues, and the Clock Tower stands in the path of a freeway that will connect the south I-90 to the north US 395. Spokane Community College opened its doors in September of 1963 and has expanded to meet the needs of its students. The expansion that took place in 1975 focused on the main entrance of the community college. The Clock Tower was designed by Reesa & Company, that was based in downtown Spokane. 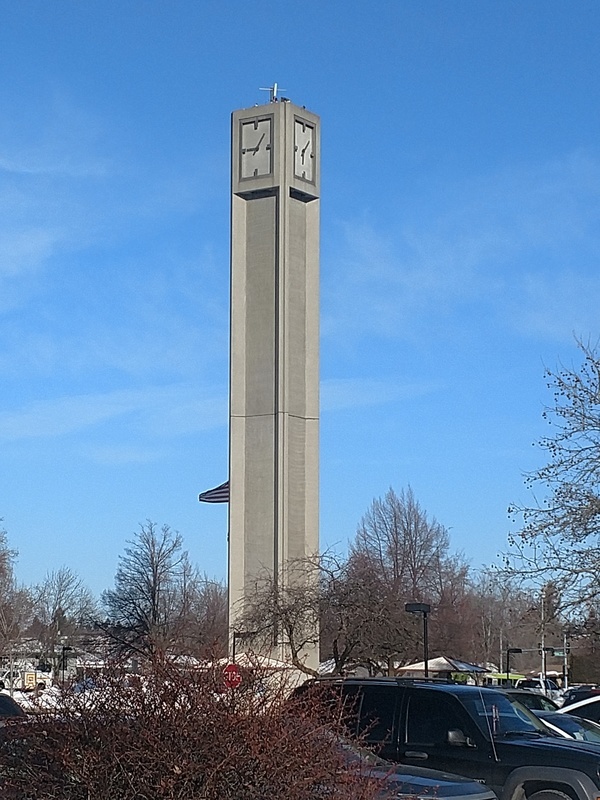 At 78 feet tall this concrete structure towers over the Spokane Community College campus. Students of SCC have petitioned to have the structure relocated, but their attempts have been unsuccessful. Students felt that the clock tower has become a landmark to the campus and deserved to be preserved. 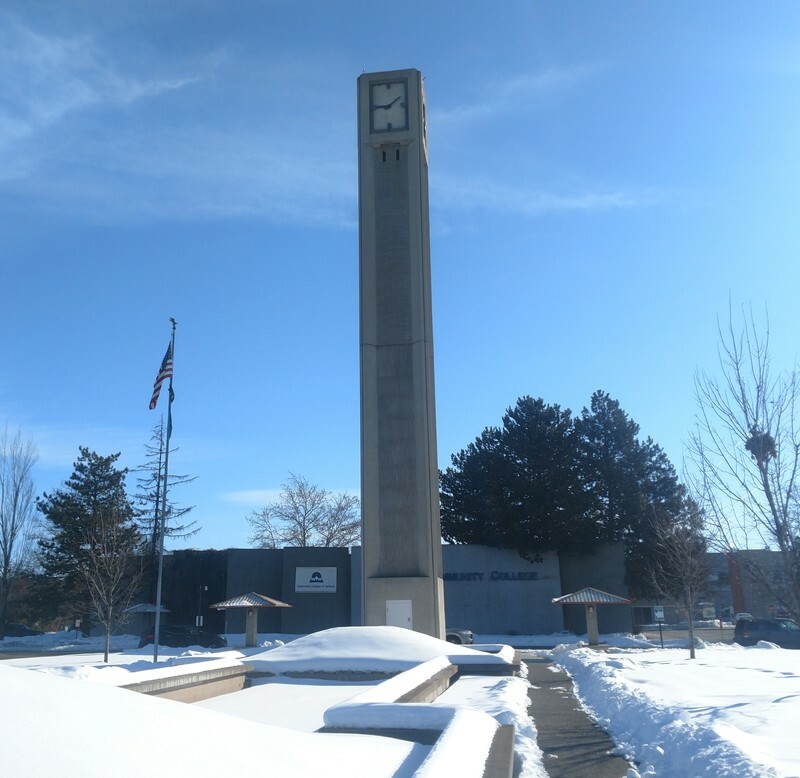 Sadly, time is running short for the Clock Tower, given that it’s demolition was schedule for 2018, it has managed to be able to stand for one year longer than planned. 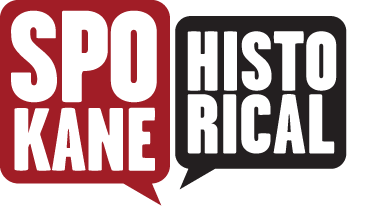 Leanne Allen, “Time’s Up,” Spokane Historical, accessed April 24, 2019, https://spokanehistorical.org/items/show/831.